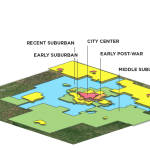 How Does Tree Coverage Relate to Built and Natural Environment? This post comes from Ian Adams, our undergraduate Service Learning intern this semester. In light of Arbor Day this week, let’s talk trees in Indianapolis. As a whole, one-third of Indianapolis’s total land area is covered by tree canopy. Out of the 99 neighborhood areas in the city, 20 of them are at least 50% tree-covered. Among the highest tree-populated neighborhood areas are Eagle Creek, Lawrence-Fort Ben-Oaklandon, and Traders Point. However, not all of the highly wooded neighborhoods are large. 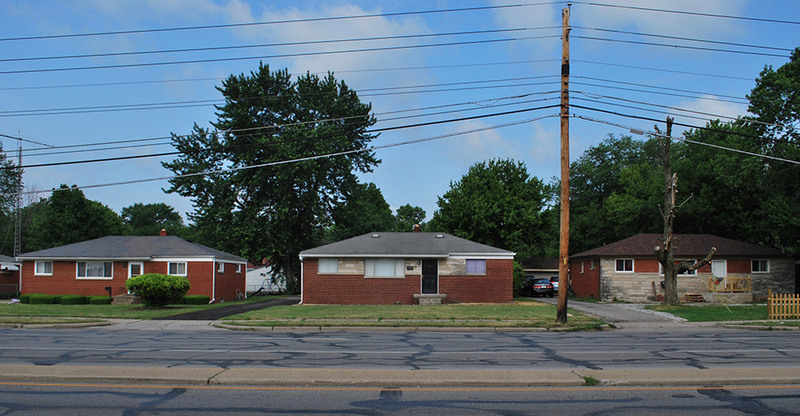 Many of them are densely forested, smaller neighborhood areas such as Ravenswood, Crows Nest, and Forest Manor. IndyVitals.org provides data on 99 neighborhood areas around Indianapolis. We will compare tree coverage to other indicators of the built and natural environment, like park access and permeability. 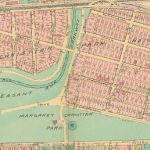 We divided neighborhood areas into urban and rural, based if they mostly contained US Census defined “rural” census tracts or “urban” census tracts. A permeable surface lets rainwater soak into the ground, as opposed to surfaces like asphalt or roofs. Neighborhood areas with a high percentage of permeable surface have less stormwater runoff. Rain soaks into the ground rather than carrying pollutants like lawn chemicals, vehicle fluids, and agricultural chemicals to streams. Permeable surfaces help prevent combined sewer overflows, when heavy rains send untreated sewage into streams and rivers. For urban neighborhood areas, there seems to be a possible relationship between tree coverage and permeability. For rural areas, however, there is not much of a relationship. In urban areas, open land may be more likely to have trees, but in rural areas open land can range from forest to farm. In the chart above, 16 rural neighborhood areas are indicated by red and 83 urban neighborhood areas are indicated by green. A community’s walkability score indicates how easy it is for residents to travel around on foot from one place to another. The score is based on the presence of several elements: sidewalks, number of intersections, destinations, and public transportation. Noticeably, the most walkable area is Downtown. Other areas that score high are Broad Ripple, Near Eastside, and Forest Manor. Walkability seems to have little relationship to tree coverage, even in urban neighborhood areas. This is an example of how the data driving the WalkScore may explain which areas are functional for pedestrians, but it cannot explain which areas are enjoyable for pedestrian. Because streets trees and other amenities can make walking more inviting and reduce the speed of traffic, it would be useful to have data that looks at the presence of trees, benches, and other amenities. In rural neighborhood areas, those that rank high for park accessibility, such as Eagle Creek and Southeast Warren, have a dramatically higher percentage of trees than neighborhood areas with less accessibility to parks. 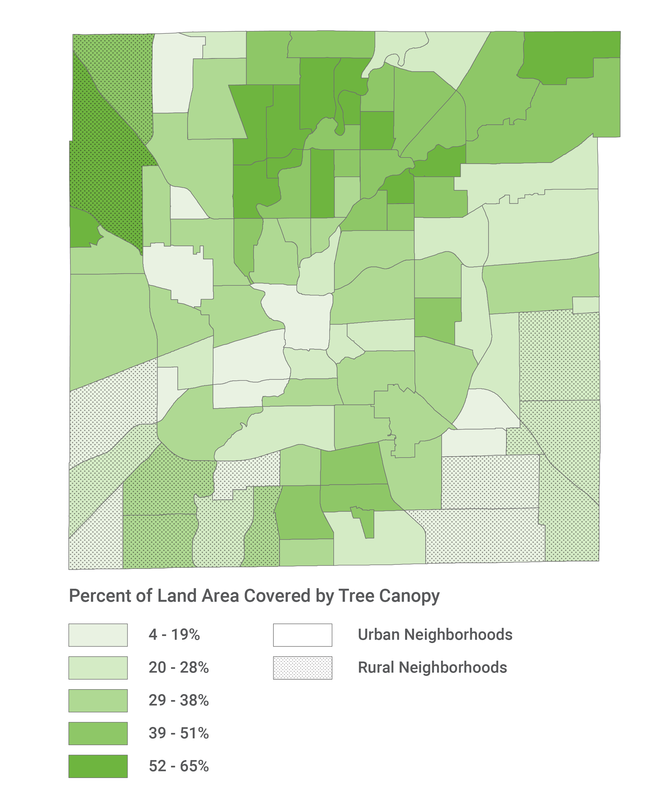 For urban neighborhood areas there is no relationship between park access and tree coverage. Why is the connection between trees and parks so strong in rural areas, but not in urban areas? The difference might be in what a park means in each context. Rural parks tend to be natural areas, and in Indiana that probably means forested areas. City parks can range from wooded parks to plazas. They even include facilities like White River Park and the Indianapolis Zoo, as well as all the parking at those sites. Rural parks may also tend to be larger than city parks, which means the characters of a city park would have less impact on the tree canopy of the neighborhood. As Indianapolis continues to prosper from all corners of the city, it is important to keep the natural beauty that is already here in check. It is equally as important to keep trees in mind with future developments in every community. If you feel inclined to make a difference in cleaning up the city or polish up your planting skills, get in touch with organizations such as Keep Indy Beautiful (KIB). Teams of volunteers are constantly collaborating in countless projects to help Indianapolis thrive. Check out the list of events that KIB has planned on their website in the near future and join the movement. KIB is also launching their Tree Canopy Planner and Mapping Tool on their website this Arbor Day. Check it out at http://www.kibi.org/. You can find out more about trees and other indicators in your community online at Indyvitals.org and SAVI.org.